Owner: Mawei New Town construction Development Co. Ltd.
Local architect: CCEDGC Co. Ltd. The project is located in the Sanjiangkou area of Mawei New District, Fuzhou, China, facing the Minjiang River with the Nanjiangbin Avenue in the south. Designed by the Finnish design master Pekka Salminen, the project covers an area of about 150,000 square meters (the floorage of the basement is about 50,000 square meters). 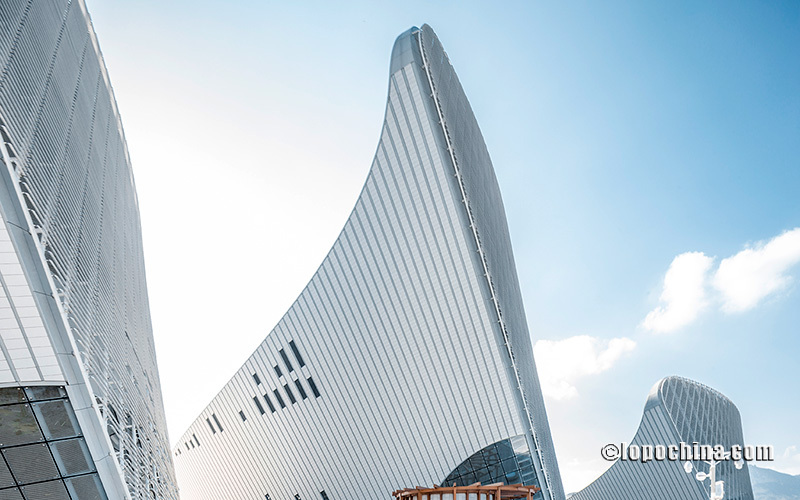 Upon completion, it will become an international landmark building of Fuzhou, which is a cultural and historical city with a history of more than 2,200 years. 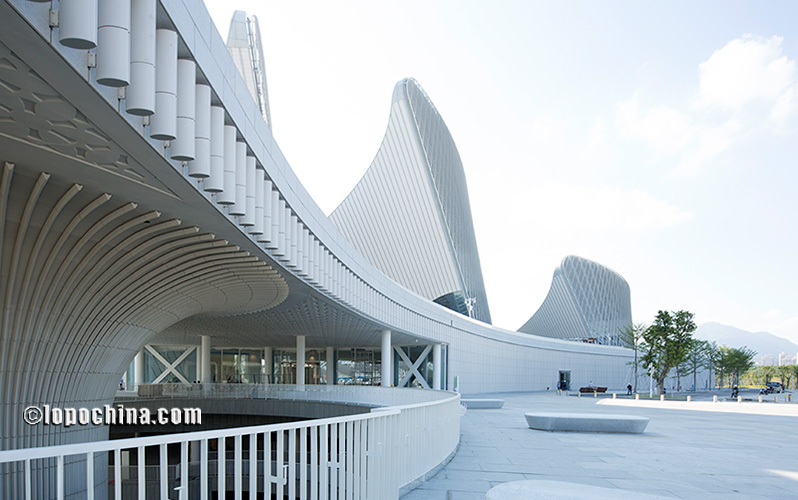 The total construction cost is about 3.5 billion RMB, surpassing that of the famous National Grand Theatre in China. 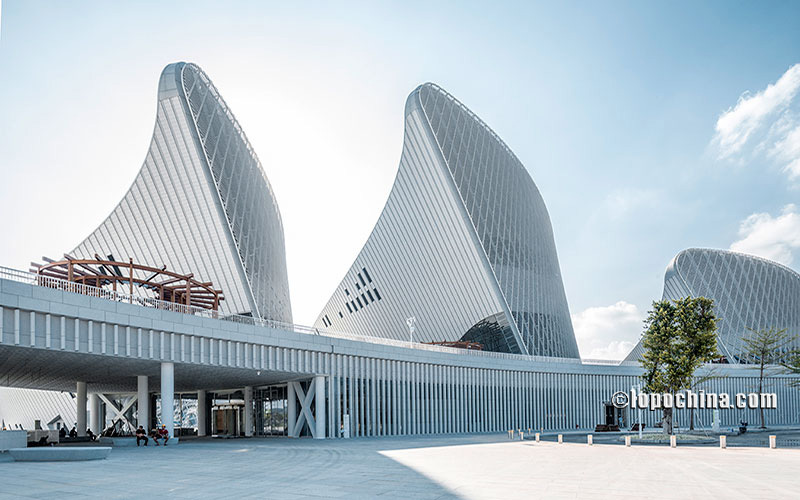 The inspiration of the project design comes from Fuzhou's city flower --- jasmine, with 'five petals, one flower' as its overall design concept. 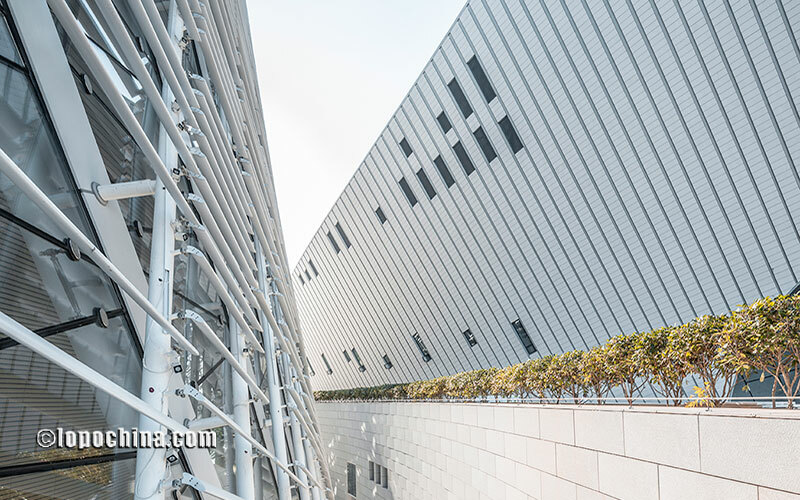 The entire building bears a strong resemblance to a white jasmine, with each single building as jasmine’s ‘petal’. The five "petals" are: multi-purpose theater hall (Building A, 700 seats), Opera House (Building B, 1600 seats), Concert Hall (Building C, 1000 seats), Art Museum (Building D), Film and Television Center (Building E, 6 movie halls). These five buildings are connected by a centrally located cultural hall on the first floor and a large roof terrace, enabling people to walk through different zones, be it the public services or business and leisure facilities. In order to create an elegant jasmine-like architectural style, this project features "two of the most" of steel structure in China, namely the largest single-layer shell grid construction area in China (the projected area is about 30,000 square meters), China's largest single-layer shell body grid span (165 meters in length, 90 meters in width). 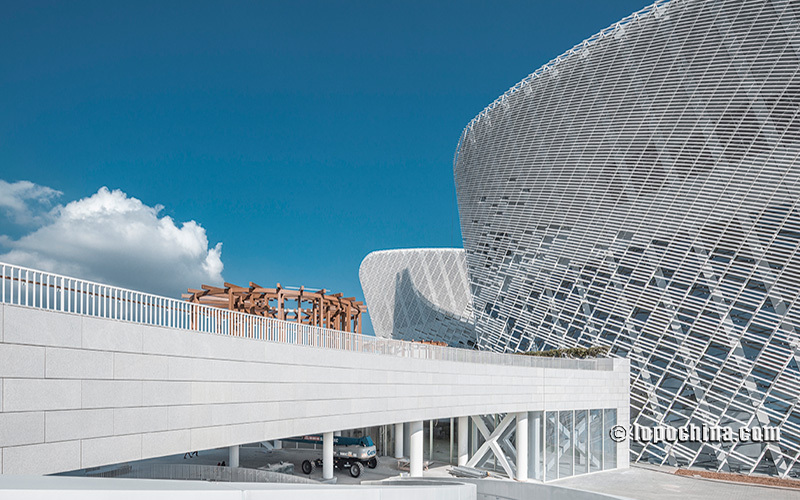 The opera house adopts the traditional Italian style with a framed character-shaped stage structure. The building height is 64.35 meters, the above-ground building area is 33,821 square meters, the maximum span of the grid is about 165 meters, the height of the grid support column is 41 meters, the maximum angle of the two-way tilt is 34 degrees, and the maximum weight of the steel components is 11.2 tons. A major feature of this project is the use of ceramics as the main architectural interior and facade material. 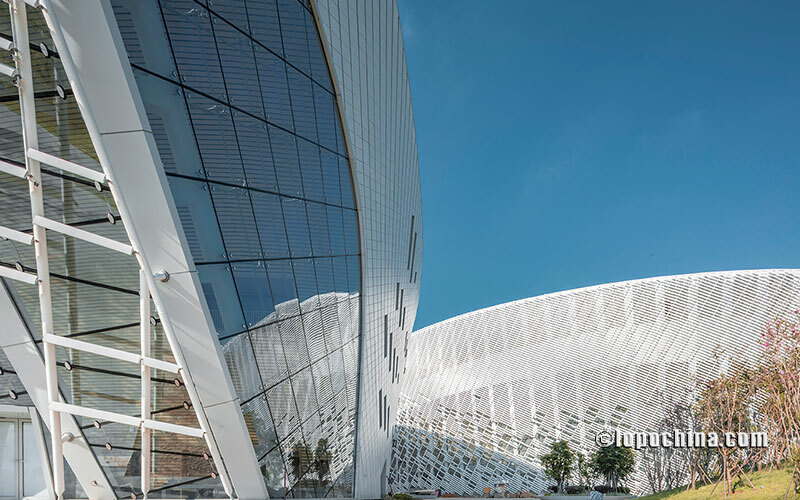 As a professional art venue, Finnish designers and acoustic experts design the ceramic interiors of the opera house and concert halls so as to meet the demanding technical requirements of acoustics and the aesthetics of architecture, thus yielding a perfect artistic effect. 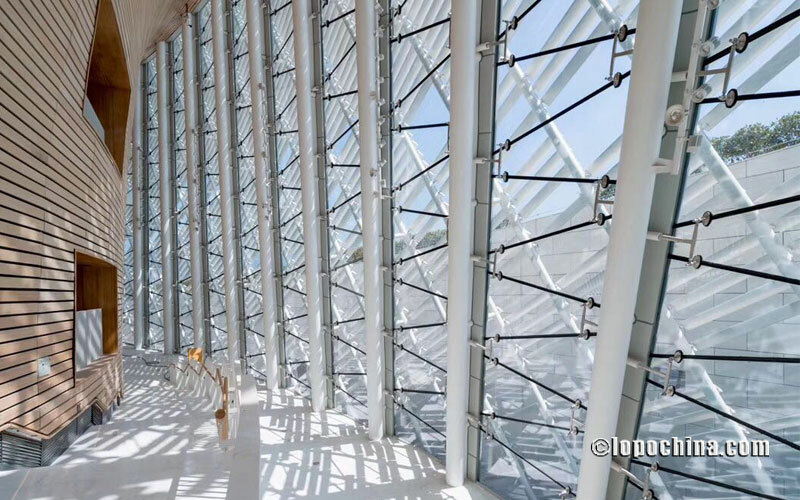 For instance, the interior wall of the opera house is finally designed as a continuum, which is covered with matt “China white” skin (3,200 square meters), and decorated with 13 kinds of shapes, and 1.5 million pieces of ceramic jasmine 'petals'. The entire building’s facade is clad with white glazed terracotta panels and glazed terracotta louvers. 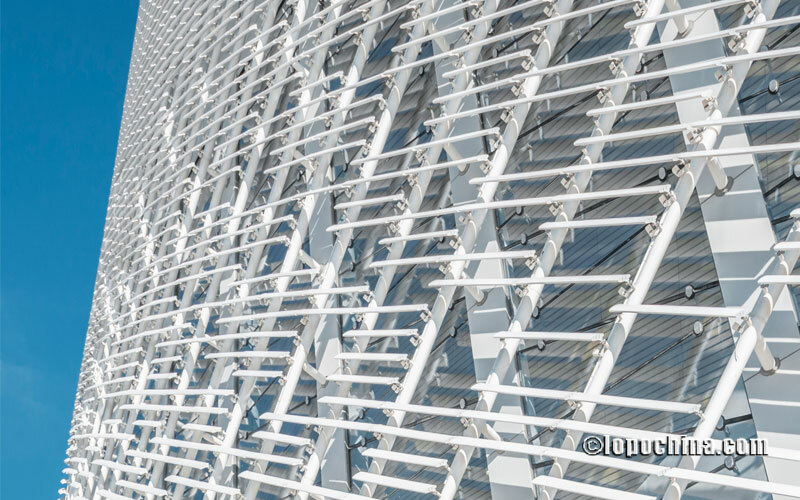 Besides the aesthetics of the building, after repeated studies, the designer has and designed the lens-shaped louvered facade to achieve the best angle and distance among the louvers, maximizing large glass walls’ shading ability. 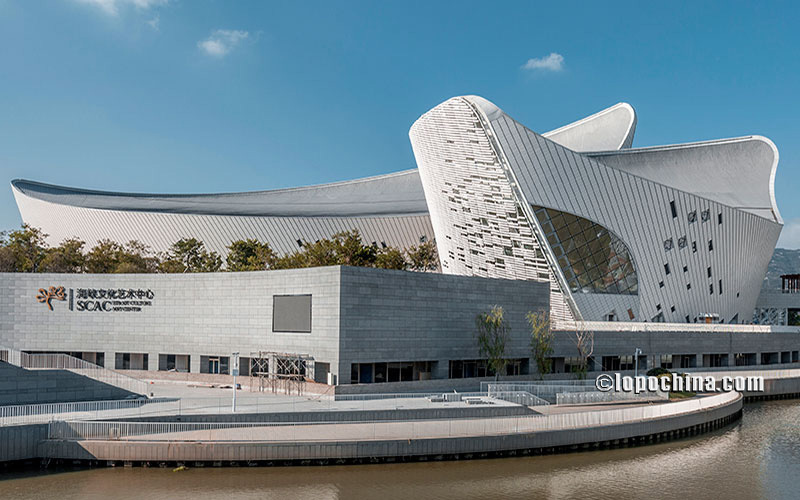 Under the sun light, taking a bird view from the top of the Minjiang River, the changing space, the hyperbolic facade, the hyperbolic roof and the white glazed facade cladding showcase stunning architectural light and dynamism. Standing out from the fierce competition with excellent terracotta facade panel manufacturers at home and abroad, LOPO China emerged as the terracotta facade supplier for this major project. 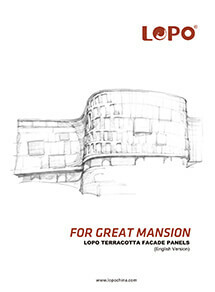 In order to perfectly fulfill designer's design concept, in a span of two years, LOPO’s engineers and technicians have been continuously optimizing the firing process of ceramic facade tiles and terracotta baguette sunscreen, glaze technology and production process, and carried out a comprehensive improvement of terracotta sunshade production line. 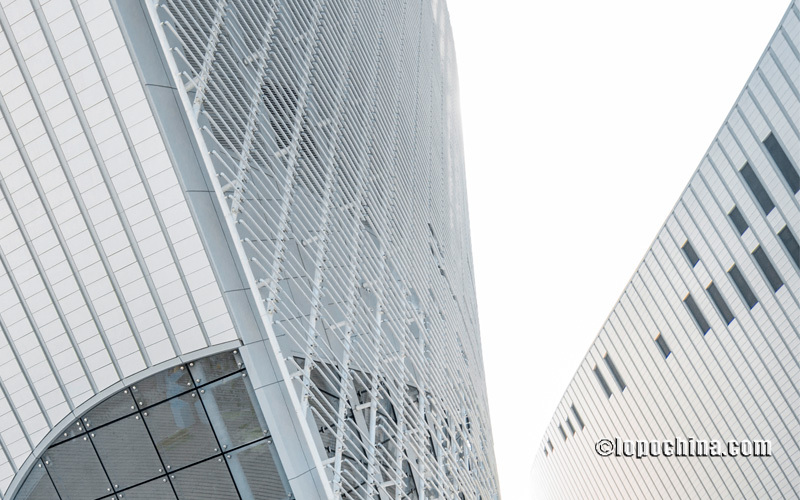 Under the intense time pressure, LOPO worked hard to supply curtain wall materials for this large-scale project on time and with excellent quality. 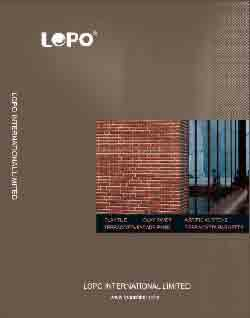 LOPO is very honored to be part of this project and hopes to cooperate with more designers in the future to complete more world-class construction projects.